Though it resembles an R&B slow jam, “Staying Single” turns the concept on its head, as FXXXXY isn’t describing romantic love, but declaring his intentions to give it up entirely. Reverberating with pitched-down vocal samples and screeching synths, the single finds him deciding to get his mind right by taking time for himself. 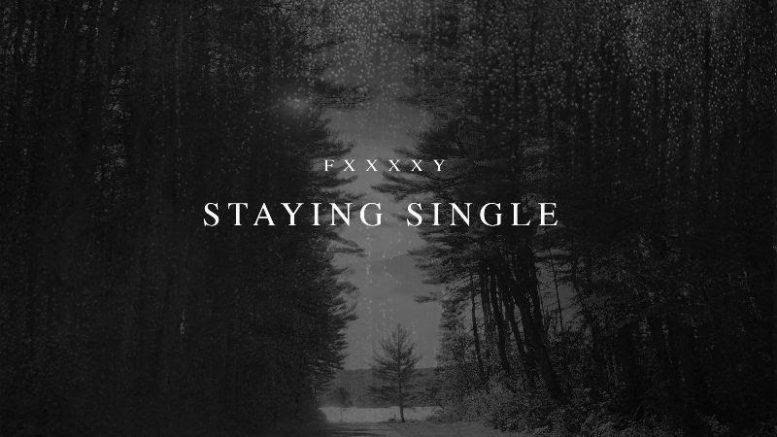 “Staying Single” represents the conclusion of FXXXXY’s thought process in “Self Care,” his piano-laden previous single, as he abandons emotional attachment and all the pain that comes with it. Whether he raps or sings, FXXXXY captivates with his raspy vocals and ear for hooks. Signed to Rule #1/Interscope, FXXXXY produces most of his music himself, with a style that ranges from snapping, synth-driven trap to soul-sampling heat. After sharing the critically acclaimed project Flawed Up Shawty in 2017, FXXXXY earned a co-sign from Earl Sweatshirt for his confessional lyricism and biting wit. “Staying Single” follows in the wake of “Need U,” an immersive trap ballad with a guest verse from Gunna, which has over 2.2 million streams on Spotify alone, and the Lil Durk-featuring “Follow Me,” released in 2018.